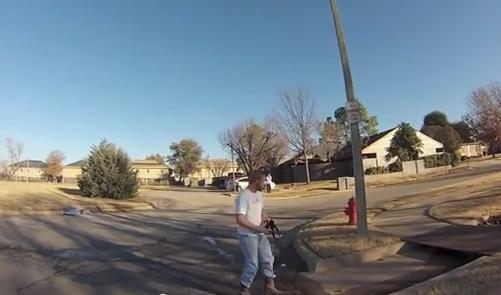 Abolish Human Abortion has published the video of what sparked an attack by a pro-choice boyfriend of an abortion bound woman outside a Norman, Oklahoma abortion clinic a few weeks ago. The man then viciously attacks AHA member Toby Harmon, kicking and hitting him several times. The video shows the pro-choicer stealing and destroying most the group’s cameras and as he walks away he throws the camera at the group. As he says this, the attacker begins to aggressively approach them. He removes his jacket and begins to attack the Abolitionists. The girlfriend whose boyfriend attacked the Abolitionists called into AFR’s Bryan Fischer’s Focal Point radio show claiming the “Attacker was provoked.” The segment was during an interview with one of the victims of the attack. Fischer asked “Cindy” what happened that day. She said she came out to discuss with her boyfriend about her decision, and had not chosen the abortion at that time. 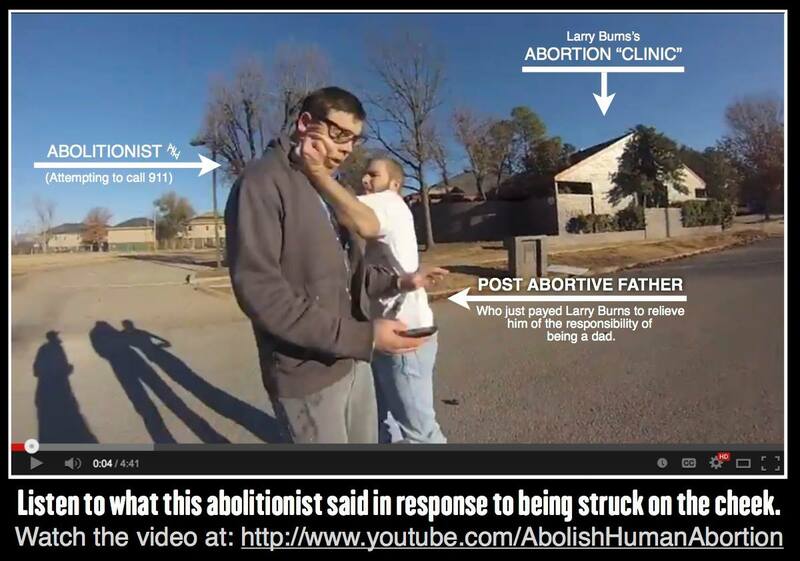 Cindy claims that Abolish Human Abortion member Toby Harmon was videotaping her entering the abortion. She admits the protesters were 10 to 15 feet away from her when she was discussing her decision to have that abortion with her boyfriend the alleged attacker. Cindy gave excuses for what her angry boyfriend did and told Fischer that what you don’t see in the AHA video is the first part when she and the attacker came out speaking loudly that she was murdering her baby. Cindy said that she is not denying the assault, “Its all on video, he attacked them,” she says. 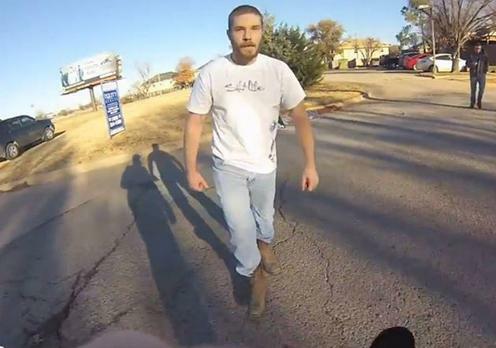 Police are refusing to file charges against the man who attacked the two anti-abortion protesters outside an abortion clinic in Oklahoma. 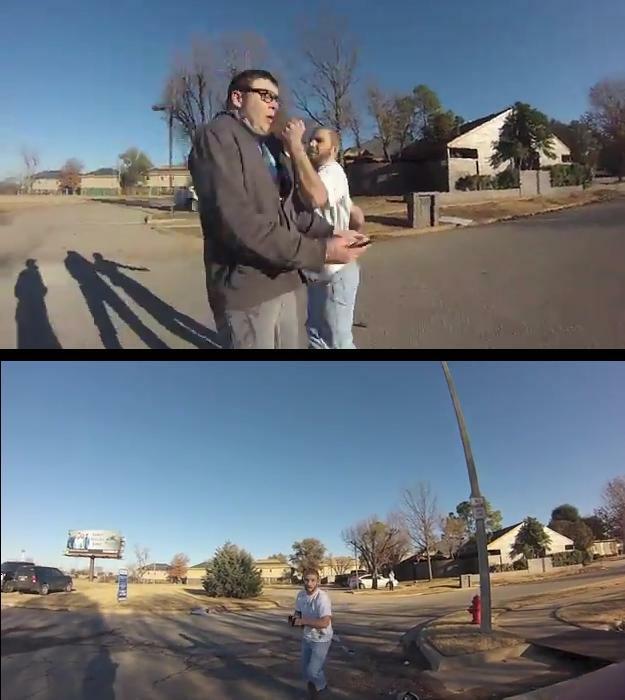 As reported previously, members of the group Abolish Human Abortion (AHA), were viciously assaulted after speaking to a pro-choice man who was exiting an abortion clinic with a women in Oklahoma, the pro-choicer began to push, punch, and threaten them. AHA is reporting that the City of Norman, OK Police Department doesn’t even want to see the video evidence of this assault and are pressuring the abolitionists who were attacked to drop the charges and settle on mediation. 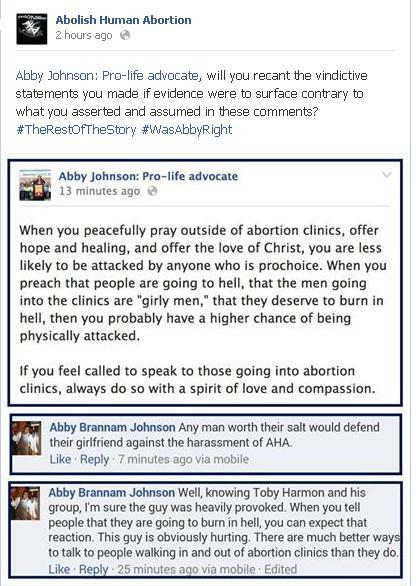 Does AHA deserve to be attacked for opposing abortion? 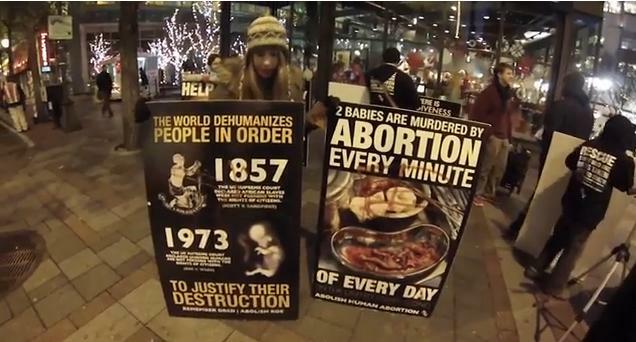 The group Abolish Human Abortion (AHA) has posted another vid showing violence by a pro-choicer who opposed their protest. She, like many women who act post-abortive was very irrational. 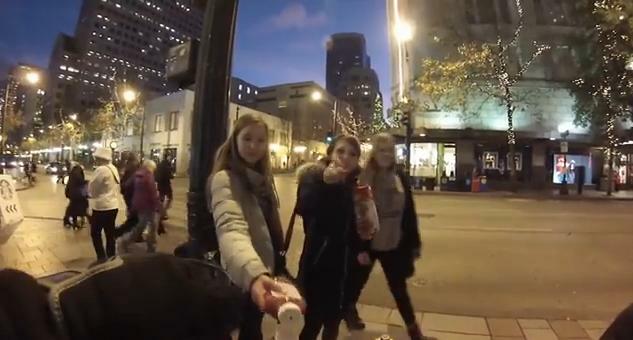 The video shows the pro-choicer in Seattle, Wa. getting very upset that the graphic images of aborted victims would be shown publicly at Christmas. 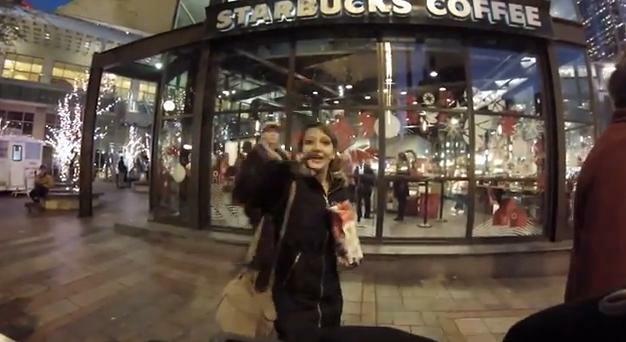 After a few moments the woman leaves and then returns throwing something at the group. She then returns again with more pro-choice friends with the intent to deface the anti-abortion signs. Mission accomplished. Last week a member of AHA was assaulted as reported here. Although I have personally engaged both AHA and Ms. Johnson in disagreements on their views, I find it astonishing that one would try and make an excuse for any violent behavior against those exposing abortion. If we disagree with the tactics of AHA or with their beliefs we should debate them. But the moment we make excuses for ANYONE to attack a person simply because they are pro-life or anti-abortion we place ourselves in danger as well. The truth is that no one has the right to physically assault or destroy property based on what a person says. I realize that Abby did not say she condoned this violence, however, we should all join together to condemn it. 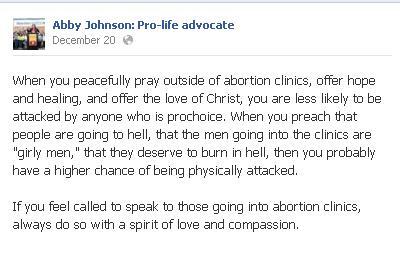 AHA likes to separate themselves into a group that is supposedly different from pro-lifers and that is their option. I have been upset by some of their claims and statements as well. 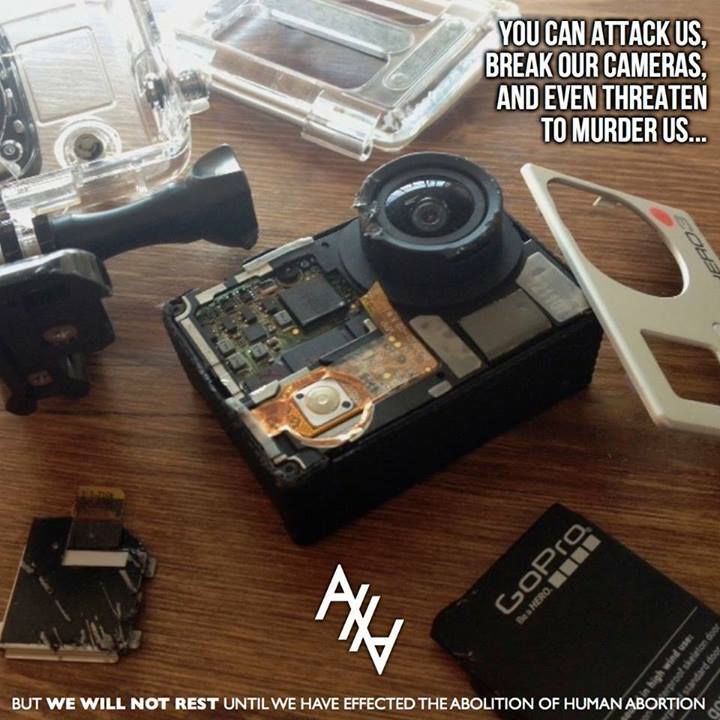 But, if pro-lifers censor and remain silent when AHA is attacked, are we not doing the same thing? I hope all pro-life people will think long and hard about making any assertions that one group which opposes abortion is more likely to be attacked than another while we sit by and say nothing before that line of thinking places all of us at risk! Closed Bryan Planned Parenthood was Don’t Ask/Don’t Tell on reporting child abuse? 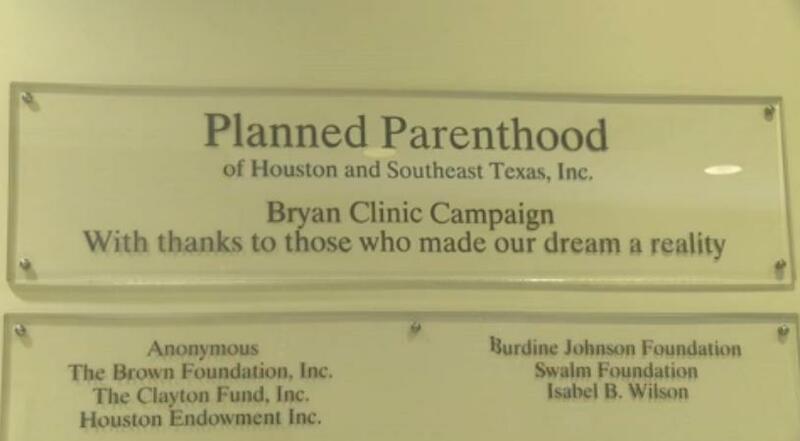 In 2002, Life Dynamics called over 800 Planned Parenthood and abortion clinics – here is a transcript of the one they called in Bryan, Texas, where Abby Johnson previously worked! CLINIC: Planned Parenthood. This is Sara. Can I help you? CLINIC: How many weeks along? CLINIC: The first day of the last period? CALLER: It was December 21st. CLINIC: Okay. It will be $390 at this point. CALLER: Okay. Well, do you know, like — do you know if I have to be — like, well, I’m going to be 14 in March, and my friend told me that you guys would have to tell my parents I’m getting an abortion. But my boyfriend’s 22. Could he — is he old enough to take care of it and you wouldn’t have to tell anybody? CLINIC: No. By law we have to at least notify your parents. They don’t have to give consent, but they have to be notified. CALLER: I just — is there any way not to tell my parents? Because I don’t know what would happen if they found out. I mean, they can’t find out at all. CLINIC: Basically by law, there’s really nothing else we could do. There is a thing called a judicial bypass. You have to go through the court system to do that. And it usually takes quite a while. CALLER: Oh. Well, how much does that cost? CLINIC: I don’t know. You’d have to call the courthouse and talk to hem about it. CALLER: Oh, would they have to tell my parents? CLINIC: No, that’s the whole reason. CLINIC: To call them is to not have to tell your parents. CALLER: Okay. Well, does the judge ever say no or anything? CLINIC: Actually, nobody’s ever tried it in this county before. CALLER: Oh, okay. Well, could I come in there for a pregnancy test though? CLINIC: Have you already taken one at home? CALLER: No. I didn’t know if the ones that you could take at home were right. CLINIC: Yes, they’re pretty dang accurate. CALLER: Okay, well, could I come in there anyways and take one? CALLER: I just don’t know — I just would rather have you guys do that. CLINIC: Yes. Absolutely. Absolutely. And how old are you? CLINIC: You’re 14 you said? CLINIC: Okay. It would be, I believe, $10 to have that done. CALLER: Okay. Well, me and my boyfriend talked about all this, and we decided that like he was going to pay for everything, but we don’t want anyone to know about us or anything. Would you guys ask any questions or anything? CLINIC: By law we’re required to. CLINIC: Um-hum. By law. There’s nothing we can do besides follow the law. CALLER: Oh. Would he get in trouble or anything? CLINIC: It just depends on what the court system would decide to do. CALLER: Well, if I came in for a pregnancy test you would have to talk to the court? CLINIC: Yes. We would have to call and report it to the Child Protective Services. CALLER: Oh. Okay. Well, so like even if the pregnancy test came out that I wasn’t pregnant? CLINIC: If you just came in for a pregnancy test on your own and if you didn’t fill out like — basically you don’t really have to fill out too much paperwork when you come in for a pregnancy test. And if you just — it’s hard to explain to you, but whatever you write down is what we ask you about. If you don’t write it down we don’t ask you. CALLER: Oh, okay. So if I came in without him and the pregnancy test said that I was not pregnant, could I get birth control? CALLER: Would you guys have to tell anybody that I was on birth control though? CALLER: Okay. Okay. Well, so just when I’m signing stuff don’t tell everybody everything? CLINIC: You know, I can’t really say that but I’ll just tell you that anything that you list we have to ask you about. CLINIC: Does that make sense? CLINIC: Okay. And if you wanted to make an appointment, I could definitely do that for you. CLINIC: Our next appointment would be Wednesday. CALLER: Okay, what time on Wednesday? CLINIC: We have morning and afternoon. CALLER: Afternoon would probably be better. CLINIC: Okay. How about 3:30? CLINIC: And what’s your name? CLINIC: And what’s your last name? CLINIC: What’s your phone number? CALLER: Well, do you guys really need that? CLINIC: Just in case we need to reschedule. Is there a phone number that we could call in case, you know, like if somebody gets sick and we have to reschedule the appointment? CALLER: Oh. Well, my boyfriend got a new cell phone. Could I give you that number? CALLER: Okay, well I don’t know it yet because he just got it, but can I give you that? Like can I call you back with that? CALLER: All right. Well, what was your name so that I can call you back? CALLER: Was there anything else you needed? CLINIC: I don’t think so. We’ll just see you Wednesday the 27th at 3:00 if for some reason I don’t talk to you again. A Planned Parenthood affiliate in Texas knowingly sent in about $6 million in false claims to Medicaid and took steps to cover up its acts, says a federal “whistleblower” lawsuit that was unsealed Friday. Planned Parenthood Gulf Coast submitted more than 87,000 reimbursement claims for services that were “false, fraudulent, and/or ineligible,” said the lawsuit filed by Abby K. Johnson on behalf of the United States and the state of Texas in U.S. District Court for the Southern District of Texas in Houston. Ms. Johnson is a former director of one of the clinics and had “system-wide” access to patient records and billing activities for about two years. The lawsuit was kept under seal until Friday, when U.S. District Judge Kenneth Hoyt made it public. 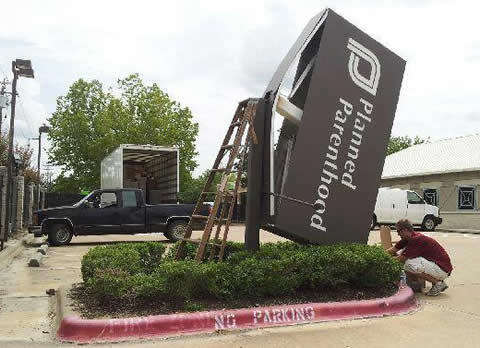 It alleges that the 10 clinics in Planned Parenthood Gulf Coast put in fraudulent claims worth about $5.7 million to the Texas Women’s Health Program, the state’s Medicaid program. Requests for comment Friday from Planned Parenthood Federation of America and Planned Parenthood Gulf Coast were not answered. The lawsuit, if decided in favor of Ms. Johnson, could result in multimillion-dollar damages and penalties from Planned Parenthood Gulf Coast. As the whistleblower, Ms. Johnson could also receive as much as 30 percent of the amount recovered. Under the law, it is likely that Planned Parenthood was not aware of the sealed lawsuit, said Alliance Defense Fund senior counsel Michael J. Norton, one of the lawyers representing Ms. Johnson. But once Planned Parenthood responds, “I suspect we will be, very shortly, in sort of what you would characterize as an all-out war,” he said. According to the lawsuit, Planned Parenthood Gulf Coast contracted with the state to help prevent unwanted pregnancies among a population of eligible women. The clinics’ main service was to offer women an annual family-planning exam and consultation; only office visits “related to contraceptive management” were reimbursable by the Medicaid program, the lawsuit said. In addition, clinic staff “falsely notat[ed]” patients’ charts to “fix” and “cover up” the frauds before inspectors or auditors came, the lawsuit said. Regarding abortion services, the lawsuit said that Planned Parenthood Gulf Coast was required by law to refer pregnant women to doctors or clinics that did not perform or promote or refer for elective abortion. But instead, Planned Parenthood referred pregnant women “to its own abortion clinics for performance of abortion, in violation of state law,” Mr. Norton said. The case was unsealed Friday because federal and Texas authorities decided not to intervene in the case, Mr. Norton said. A spokesman for the Justice Department in Washington said Friday the agency had “no comment” on the case. A spokesman for the Texas attorney general’s office could not be immediately reached. The lawsuit is likely to be of interest on Capitol Hill. Rep. Cliff Stearns, Florida Republican and chairman of the House Energy and Commerce subcommittee on oversight and investigations, is planning a hearing into federal funding to Planned Parenthood Federation of America. A hearing date has not been set. On Feb. 7, ADF publicly released its report to Congress in which ADF identified nearly $100 million in waste, abuse, and potential fraud committed by other Planned Parenthood affiliates and other service providers. Rep. Cliff Stearns of Florida is currently leading a congressional investigation into the handling of federal funding by Planned Parenthood, the nation’s largest purveyor of abortions. The lawsuit Johnson v. Planned Parenthood of Houston and Southeast Texas is pending in the U.S. District Court for the Southern District of Texas, Houston Division. Irving attorney Joshua Carden and Houston attorney Scot Dollinger, two of nearly 2,100 attorneys in the ADF alliance, are assisting with the case. 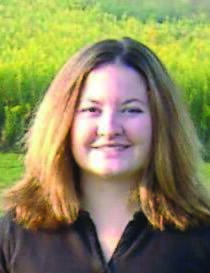 Wake Up America Today, host Host Lisa Pitts, interviews Planned Parenthood spokesperson, Erin Zabel. Zabel is the Director of Marketing for Southeastern Virginia Planned Parenthood ( Spokesperson) says that the National Abortion Federation Federation regulates Planned Parenthood’s abortion services….and they are under the “Umbrella of NAF”…. See some results of NAF Regulations below …. According to Operation Rescue:This 911 call reveals a botched abortion at Southwestern Women’s Options abortion mill in Albuquerque, New Mexico on May 12, 2011. The woman suffered a life-threatening ruptured uterus during a late term abortion. The condition of the woman is not known. Life-threatening abortion complications happen in ABQ at the shocking rate of ONE every THREE months. Abortion may be legal but it is far from safe! 911 call made from Southwestern Women’s Options, a late-term abortion mill in Albuquerque, NM requesting transport for botched abortion patients. This shows that this abortion clinic presents a danger to the public. A 30-year old woman who suffered “uterine bleeding”, a sign of a possible punctured womb, after a first trimester abortion. 911 call made from Southwestern Women’s Options, a late-term abortion mill in Albuquerque, NM. A 17-year old girl who suffered from a fever, a possible sign of infection, a rapid pulse, and uncontrolled bleeding after a second trimester abortion. 911 call made from Southwestern Women’s Options, a late-term abortion mill in Albuquerque. A 35-year old woman, who at one point had stopped breathing, could be heard on the recording groaning and struggling for life.